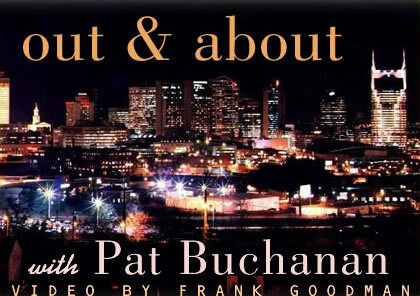 A few weeks ago, I caught a fantastic show of Pat Buchanan at 3rd & Lindsley in Nashville. The only usual bandmate of his that night was the stellar Allison Prestwood on bass, she's so amazing. This night, Craig Wright was killin on the skins, the macro-talented Jim Hoke was on pedal steel, alto flute and chromatic harmonica, and the pretty unbelievable Aussie Jed Hughes is on guitar and vocals. That cat is a rock star, his stutter start as a major label Country artist is only a preface to what's coming up for him, he is way too good to be kept from stardom. He arrived in town a huge fan of Pat Buchanan's, and when they met, he played all the songs off his second album for him (no mean feat, them's a lot of serious changes) and said "Hey mate, we could write us some songs..." And that's what they've done the last year and a half, quite a few songs. Next month we'll review Pat's new record (most all of the songs co-written with Bill DeMain), St. George. Pat's a first call session guitarist for many years in town, and has played on more records than he can remember. We'll interview him in the February issue.